One of my many superpowers is my ability to pack. Whether it’s to move an entire house or get the whole family ready for a big Disney World vacation, I have this uncanny ability to treat clothes like Tetris blocks and magically fit them all in smoothly. It’s a gift. Sick of always grabbing the wrong black suitcase from the luggage turnstyle at the airport, I decided it was time for a change. Time for a MARVELous change, in fact. 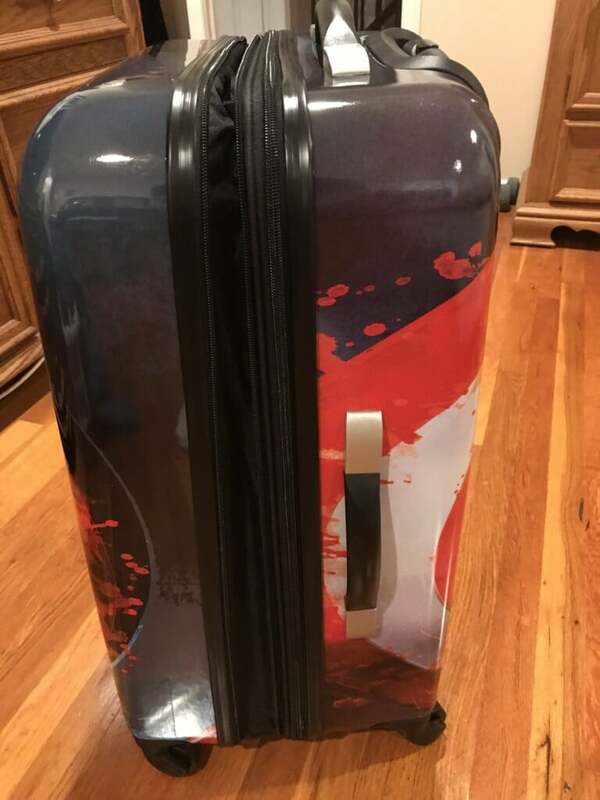 I was sent only the coolest piece of Marvel Luggage I’ve ever seen. 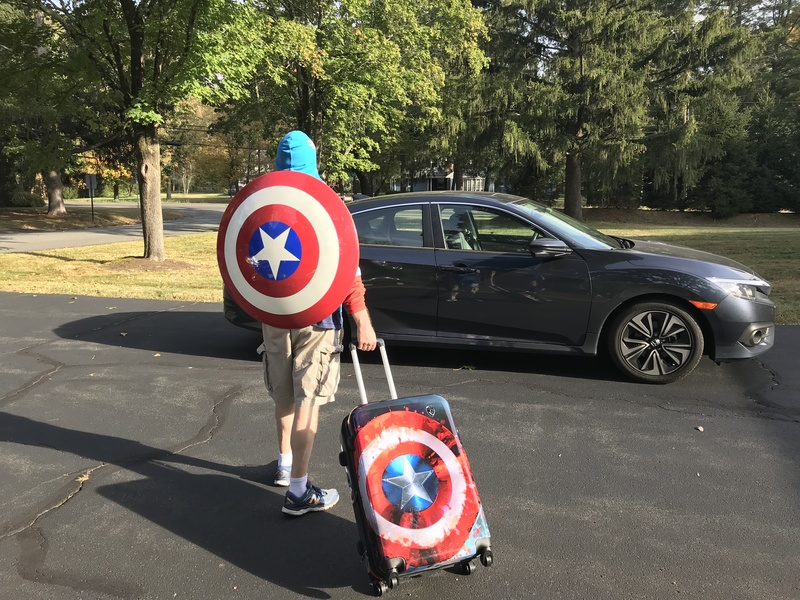 Decorated with a powerful painted splash, my Heys Captain America luggage is adorned with the Star-Spangled Avenger’s recognizable shield. I absolutely love it and will have zero problems ever finding my bag again! Sure, it looks sweet on the outside, but how about the inside? Pretty super I have to say. On one side I managed to easily fit a few pairs of shorts, boxers, eight T-shirts and my crime-fighting uniform a hoodie. There’s still tons of room in there too. I really love the roominess on this side, plus the fact there’s a zippered cover to keep everything in place. The neat thing is, I just finished packing for myself and zipped my side closed. But there’s another full half to deal with. It’s like getting two suitcases in one! I could easily fit Allie’s clothes on the other side, but as I’m heading off to the new Avengers tower in midtown Manhattan by myself, I had to make sure I was fully prepared. A few pairs of jeans, some reading materials and, of course, my favorite sleeping aids: a pillow and my sleep buddies. There’s a nice elastic clip to quickly fasten and keep things strapped down too. 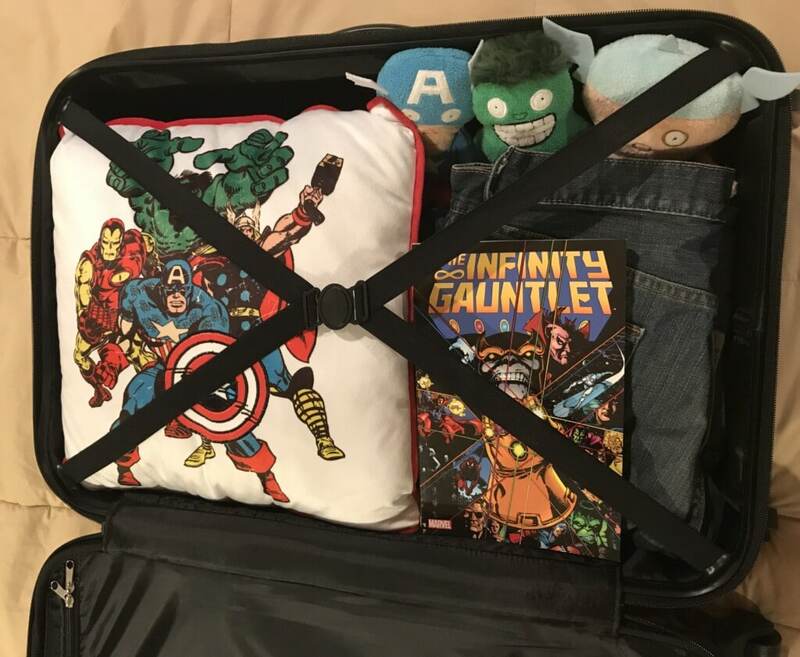 A quick close and zip and my Marvel Luggage is ready to roll. Literally! This bad boy isn’t just called a “spinner” for nothing. You can push, pull, spin or whatever as you bring your Captain America Spinner with you on your travels. And for all you other folks who love to overpack, not to fear. 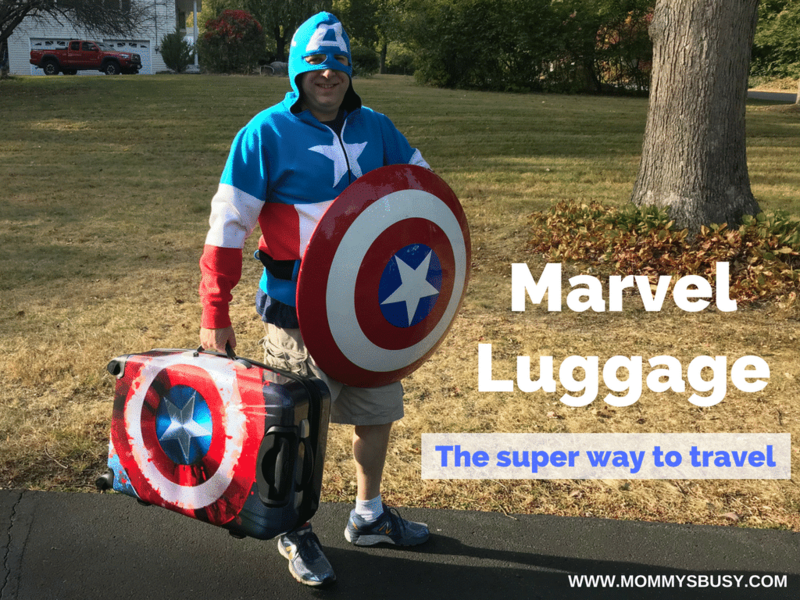 See this piece of Marvel Luggage is bigger on the inside! Thanks to an extra zipper, you can expand the capacity by up to a good 20% for more packing room. It’s also super lightweight (under 10 lbs!) and features a handle on the side for easy carrying. Yeah, I totally just stepped up my travel game! 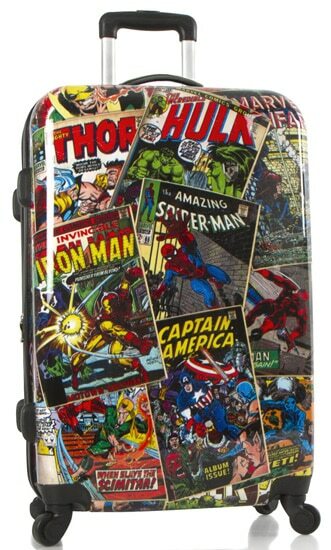 What’s really cool, though, is that Irv’s Luggage has a whole line of Marvel Luggage. The hardest thing is going to be choosing your next suitcase! Relive some of Marvel Comics’ coolest comic book covers and characters such as Iron Man, Thor, Hulk, Spider-Man, Daredevil, Black Widow and even Iron Fist! I’m fairly certain even Stan Lee has a copy of this Marvel Comics Spinner. Another Heys masterpiece, this Marvel Spider-Man Spinner takes a real artistic approach with the wall-crawler. 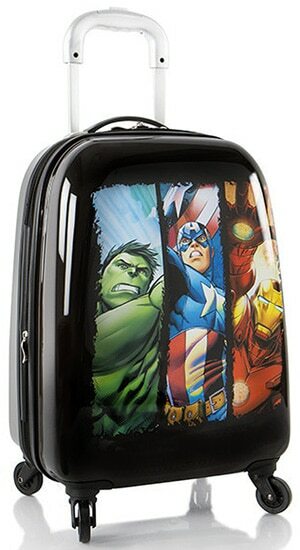 There are also some fantastic kids pieces in the Marvel Luggage line from Heys, such as this Marvel Avengers Spinner Carry On. 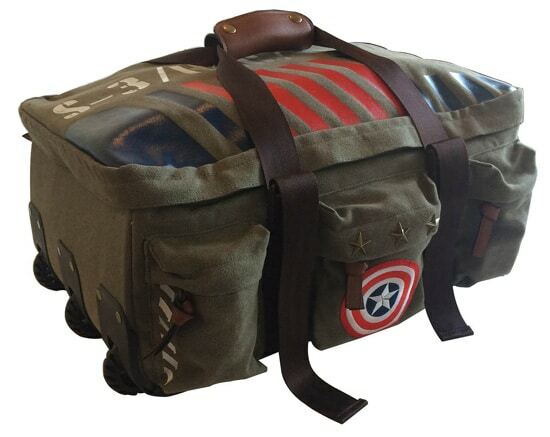 Okay, so this isn’t a Heys brand suitcase, but I so need to get my hands on the Captain America Vintage Canvas Rolling Cabin Duffel Trolley from BB Designs. That’s true Super Soldier quality! So who are these guys at Irv’s Luggage you ask? 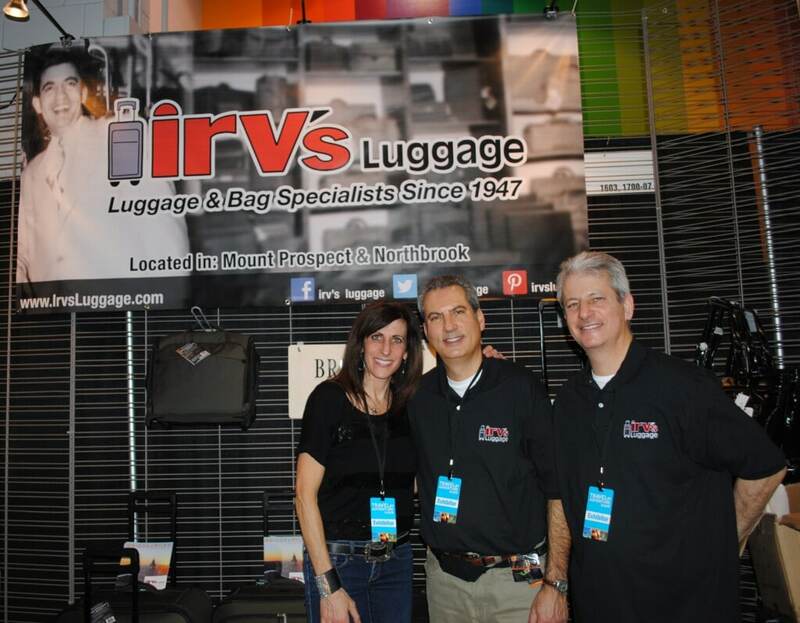 Family owned since 1947, Irv’s Luggage actually has two retail stores in the Chicago suburbs. That’s a bit of a hike for me, so I’m crazy glad they decided to start an online store years ago! Offering over 15,000 different items from 150 brands, I’m fairly certain Irv’s Luggage has the right bag for you. But they’re more than luggage too. You’ll find laptop cases, duffel bags, backpacks and more. Yes there are actually real people behind Irv’s Luggage! In fact Irv’s Luggage is run by three siblings (left to right: Renee, David and Phil). They pride themselves in offering some of the coolest brands around at some real competitive prices, not to mention top-of-the-line customer service. Oh and did I mention that not only does Irv’s Luggage offer Free Shipping on orders over $75, but free returns too! Pretty much a no-brainer if you ask me. If you’re starting to plan your next family getaway, I urge you to step up your suitcase game. Swing on over to Irv’s Luggage and start browsing for bags. You may not be as heroic as I am clearly, but even innocent civilians need to travel in style. Those suitcases looks really cool. I love the extra zipper to make room when you have a lot to pack and the love the outer designs. My grandson would love this. I really like this luggage. It is fun for ALL ages! This is so cool! As a Marvel fan this is just so awesome! Loved your review! It sounds great. I like that it has plenty of room, is lightweight and easy to move. It looks great too. I unfortunately do not have the packing super power. I am terrible at trying to fit everything I need in a suitcase or anything else. 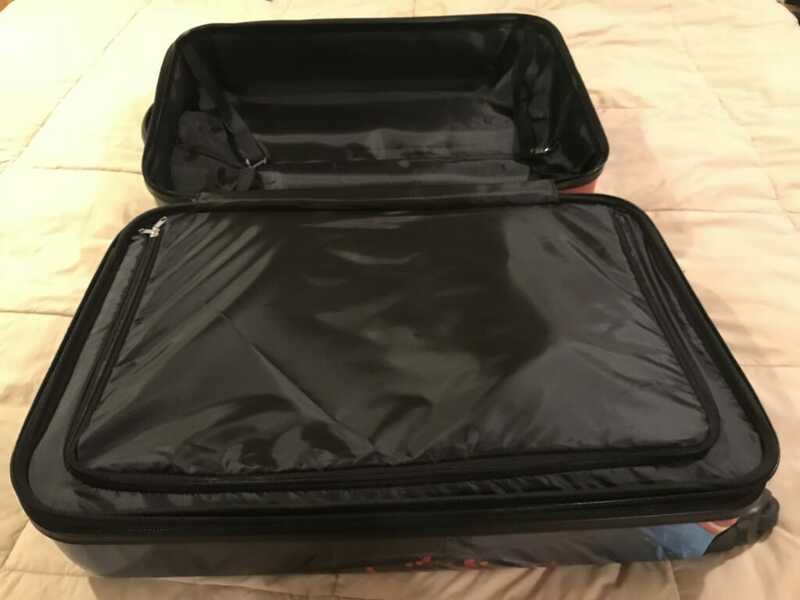 This suitcase looks like it would help to keep things neat and organized so it would be great for me! I love that duffel! They’re all pretty cool! The spinners are all amazing!!! Hard to choose a favorite! I really love the Marvel Cosmics Spinner! I’ve been looking for some new hard shell luggage this week. I have to say it looks like a great bag to use very roomy to pack items in it . Plus my son loves marvel !! These would be so much fun to have. They also would be so much easier to find at the airport! 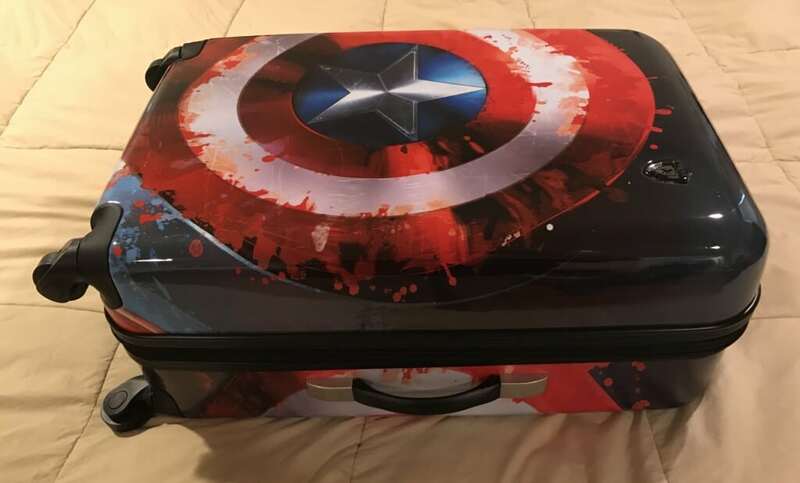 Really amazing suitcase for true Marvel fan! This is seriously adorable. My son always pretends to go to the airport. This will be so awesome to use when we actually go to the airport! My adult kid would go bonkers for this, or at least I think they would? I seem to remember their being upset over the newest CA storyline so maybe they defected to DC now? This luggage is absolutely fun! My son would get a kick out of one for his graduation present. You would definitely spot this on the luggage returns. I am in love with this luggage! It is for sure going on the gift list for my husband! 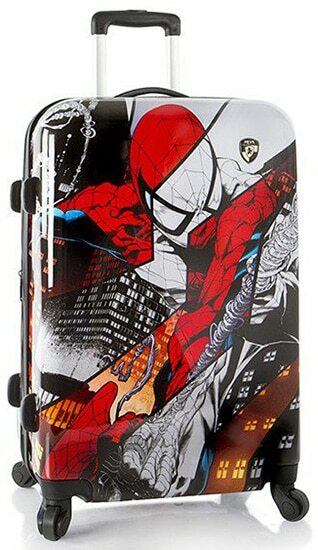 I am loving the colors on this luggage, and hey it’s Marvel so whats not to love? The gang or quite a few are there! I really like the zippered side , that would keep your marvelous things from mixing about. I also like how marvelously hefty this looks. Fit for a super hero ! 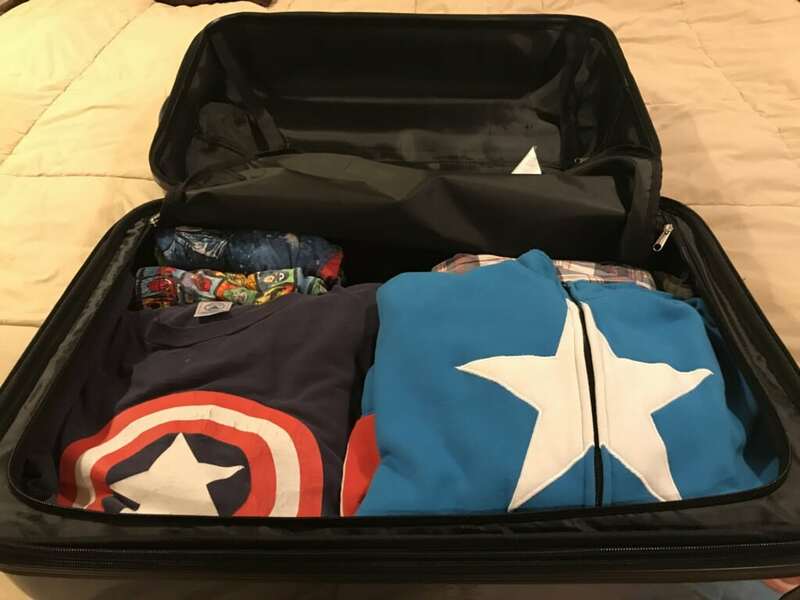 I know my nephew and uncle would both love to have this Marvel luggage. Thank you for sharing this review. Oh, the Spiderman one belongs in our house. My son would love it! These are so cool. These would be a huge hit in our house. My fav is the Spiderman luggage. This would be awesome! Looks to be very well made. If I don’t win this, I’m buying it. The boys would LOVE LOVE LOVE this!! Love this luggage. My son Joshua would love it too . I’ve entered thanks for the opportunity hoping to win. Wow. My first thought was if my kids were younger…then I looked at them. I want one! Thanks for the great review. Love it! Would be great for my hero obsessed son! Their luggage is awesome. What kid (and most grown ups) wouldn’t want to own this? Some of these are awesome! Others are… probably not something I’d use. You mentioned about the sea of black luggage – which is always a problem and these definitely won’t get lost there. Have to make sure no one accidently gloms on to one of these great designs. Captain America – oooh you’re so lucky! lol Awesome suitcase! Wow I’ve never seen such great looking kid luggage! I’m a packing superhero also. I absolutely love this luggage is awesome! Dude, please connect me with these folks. I have had some Marvel related trips that these items would have been perfect for!! Wow, they are really cool. Love these designs. Especially love the Captain America design. My teen sons would love one of these and to be honest I’d really love the Captain America one. These are SO cool! Not only do they look great, but their looks serve a wonderful purpose.. Like so many others, my luggage is generic black. SO hard to find MINE on the luggage belt at baggage claim. THIS would be a snap to find! This luggage looks great and seems well made. I know my nephew would love this when he travels. That would be great for my son when he travels to visit his Dad. Not only is it very stylish it has lots of room. It looks well made and you would never lose your luggage! That Spiderman spinner is off the hook insane awesome, I need this in my life! !